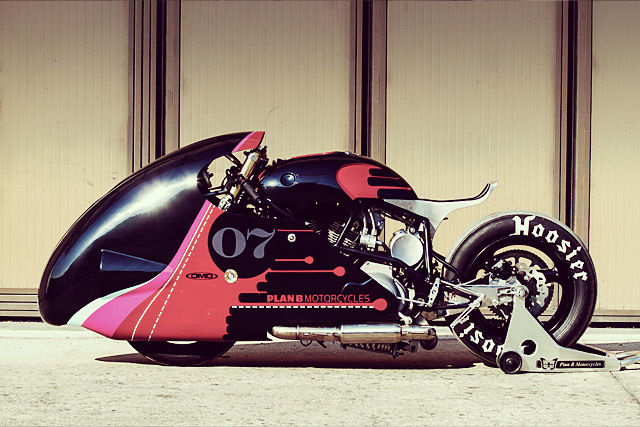 Plan B Motorcycles from Northern Italy might describe themselves as being a ‘neo-café’ workshop, but in the grand tradition of Speed Shops around the world they have an in-house racing monster with a quirky name, a mongrel sprinter named ‘Cherry Salt’. 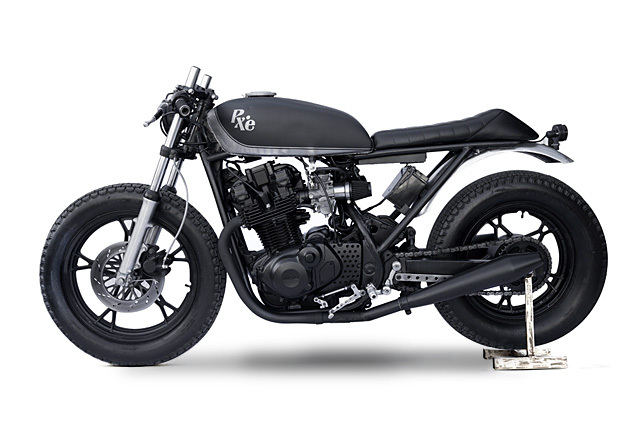 Christian the owner of Plan B makes no apologies about being inspired by the all-conquering drag machine built by Lucky Cat’s Garage that took the European scene by storm a few years ago. But the plan was never to simply emulate it, Christian wanted to build his own bike to take to the Glemseck 1/8th mile race in Germany, conquer his competitors and win big. 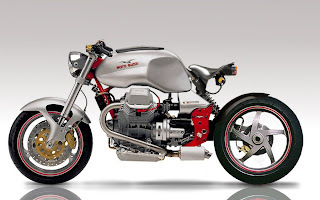 Head of Italian workshop Matteucci Garage, Marco Matteucci, is adamant he’s not a mechanic. ‘I’m not even close, I wouldn’t offend the category’ he insists. 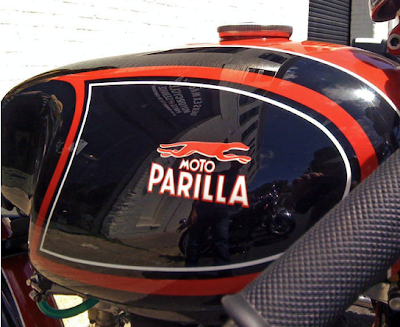 Instead he comes to motorcycles from a different background, as a graphic designer and advertising photographer with over 20 years experience in the industry. 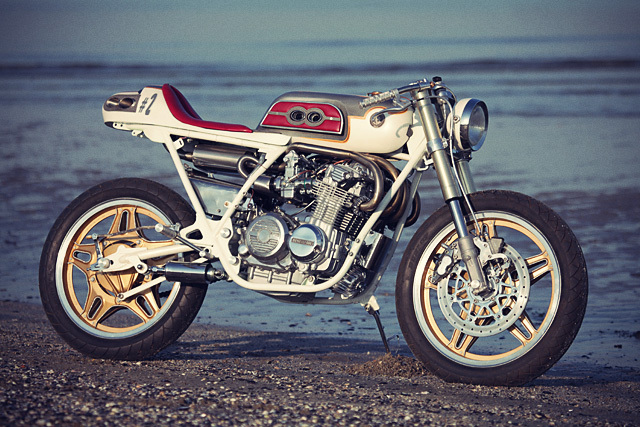 And it shows, with an impressive attention to detail and immaculate fit and finish on his latest build, a Honda XL600LM he’s dubbed ‘True Blood’. While he may not be a mechanic, Marco certainly built one of the most head-turning builds Pipeburn has featured this year. 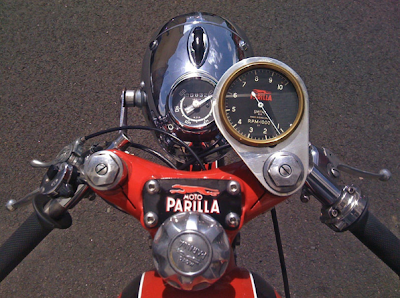 Japanese Motorcycles make up a large part of the custom scene. 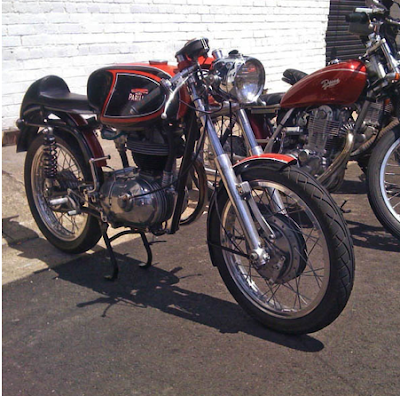 CB Hondas of the 70’s are everywhere. 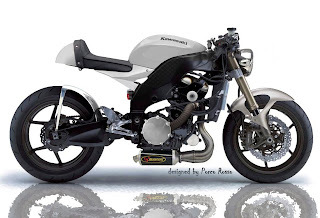 90’s litre bikes built the Street Fighter Scene and the modern machines from the land of the rising sun are turned into everything from modern café bikes to turbocharged drag strip warriors. The gap has largely been in the period of the 1980’s where the bikes were often square in design and down on power. 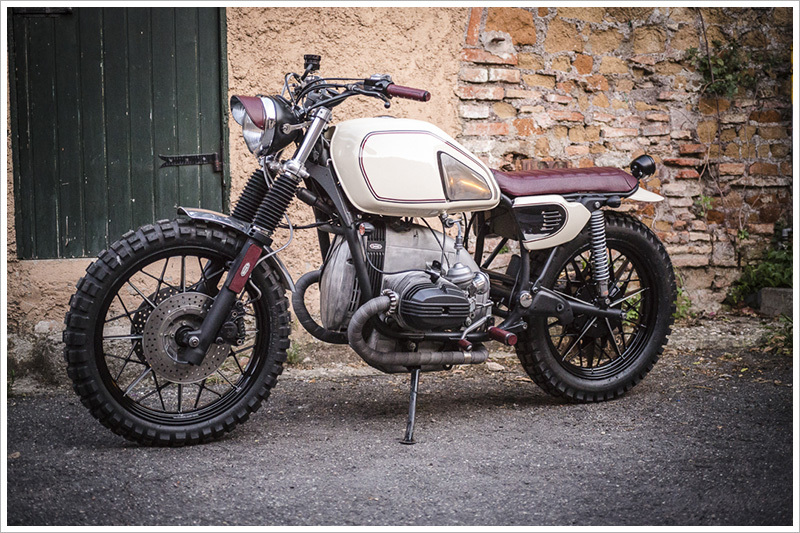 But the SRX was the bike that caught Roby’s eye as a young man so now three decades later as the owner of Dagger Cycles in Biella, Italy, he took the chance to build the bike from his youth. A 1986 Yamaha SRX600 in less than great condition is the basis for this punk machine and Roby wanted it to be a visual smack in the face. Want a quick and easy way to sort bikers into ‘buyers’ and ‘builders’? It’s easy – just talk about a tragically unpopular model. 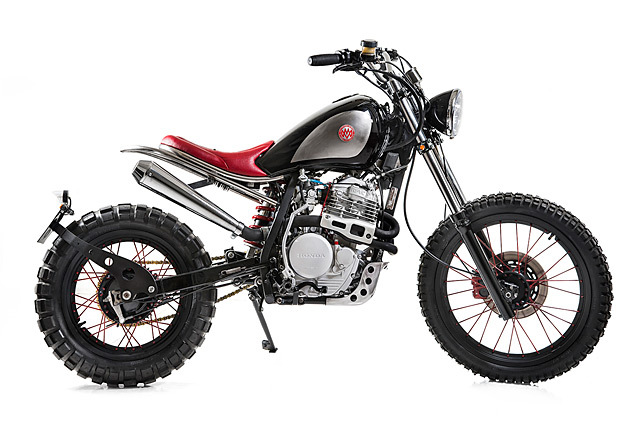 See, a buyer will judge a bike on its factory form. 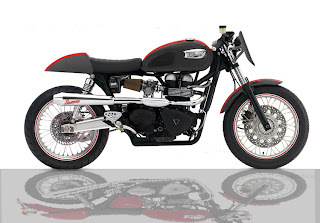 These are the guys that think showroom looks are somehow hard-wired into a bike’s DNA; the guys who will dismiss an entire model or range because they don’t like the size of the headlight or the shade of red on offer. Then there’s the builders. 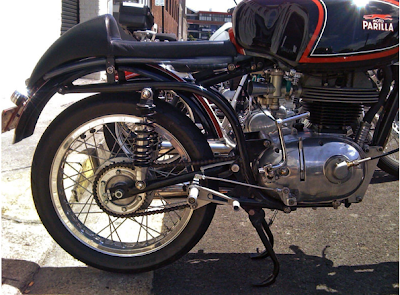 These are the guys who can see beyond the superficial to appreciate the soul of a bike, no matter how ugly it’s superficial, outward appearance. 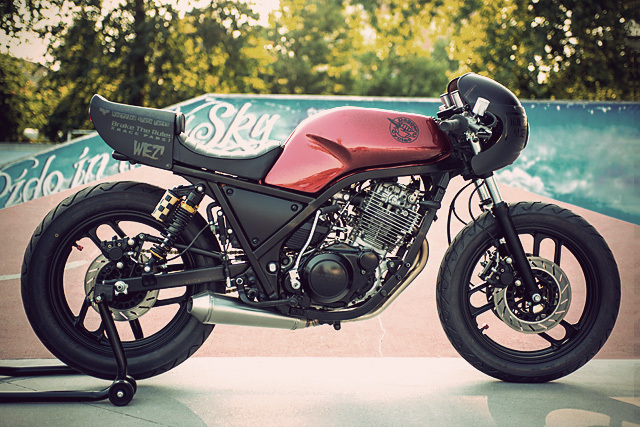 Italy’s Anvil Motociclette fancied themselves as the latter, and to test the theory they took on the challenge of customising the optimistically named Suzuki GR650 ‘Tempter’. It didn’t tempt us before, but it sure does now.